Today in Masonic History Thomas John Barnardo is born in 1845. Thomas John Barnardo was an Irish physician and philanthropist. Barnardo was born in Dublin, Ireland on July 4th, 1845. He studied medicine in the London Hospital with the hopes of being a missionary to China. He would later study in Paris and Edinburgh. In Edinburgh he became a member of the Royal College of Surgeons. While Barnardo trained at London Hospital, he was also doing evangelical work in the city. This made him very aware of the homeless and destitute children in the London area and all around England. 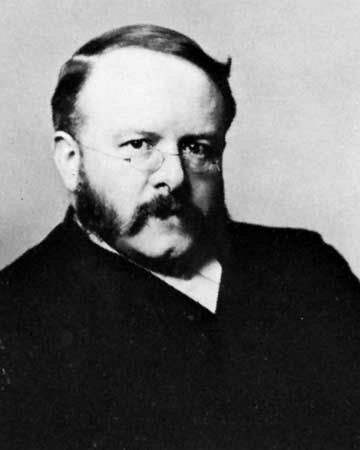 Encouraged by supporters, Barnardo gave up becoming a missionary in China so that he could take care of those in England who he felt needed his care. Caring for the homeless and destitute children of England became Barnardo's calling. In 1867, the first "Dr. Barnardo's Homes", as they were called, was opened. The homes would begin to spread throughout the United Kingdom. By the time of his passing, there were 112 district homes that existed in the United Kingdom. There were a variety of types of homes that Barnardo created. Grouping the children by age and gender, they were all educated and appropriate training for jobs of the time were provided for the children. The spiritual needs of the children were met as well. Those with parents of specific faiths such as Catholic or Jewish were taken to respective organizations that helped children of those faiths. Eventually Barnardo made a home for girls on a 60 acre piece of land that was given to his wife and Barnardo at the time of their marriage in 1873. The "home" was laid out as a village so that the girls would get a sense of community. The setup was meant to resemble a small village that the girls may have come from or may one day live in. Although the Barnardo's charity stopped running homes for orphans more than 30 years ago, the charity still exists and still provides needed resources for children and young men and women of today. In a darker time, Barnardo was listed as one of the suspects in the Jack the Ripper murders. The accusation largely comes from the fact that it is believed that the Ripper had surgical skills. A modern Ripperologist, someone who studies the Ripper murders, claims that Barnardo is really the only suspect. He contends that Barnardo had a poor childhood and that the anger he felt about this manifested in the Ripper murders. Critics of this theory are quick to point out that Barnardo did not match the descriptions of Jack the Ripper, both in size and in age. Barnardo passed away on September 19th, 1905. He passed away from angina pectoris. Barnardo was a member of Shadwell Clerke Lodge No. 1910. He was initiated in November of 1889, passed in June of 1890 and raised in October of 1891.